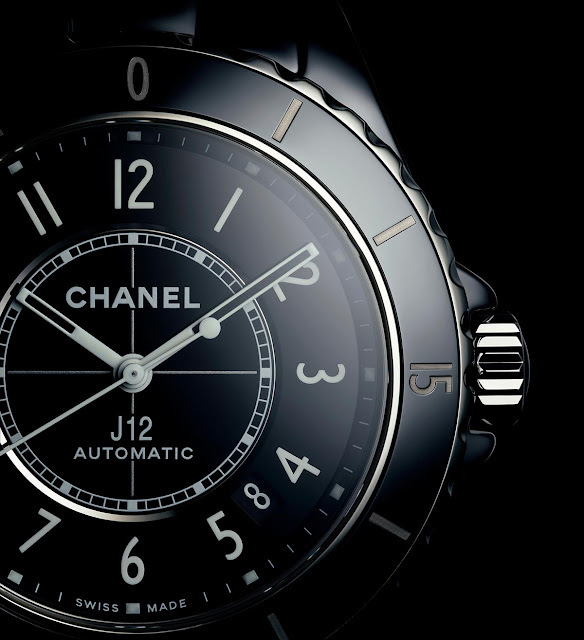 Designed in the year 2000 by Jacques Helleu, artistic director of Chanel, the J12 model took its name from the J-class yachts that race in sailing competitions like the America's Cup. 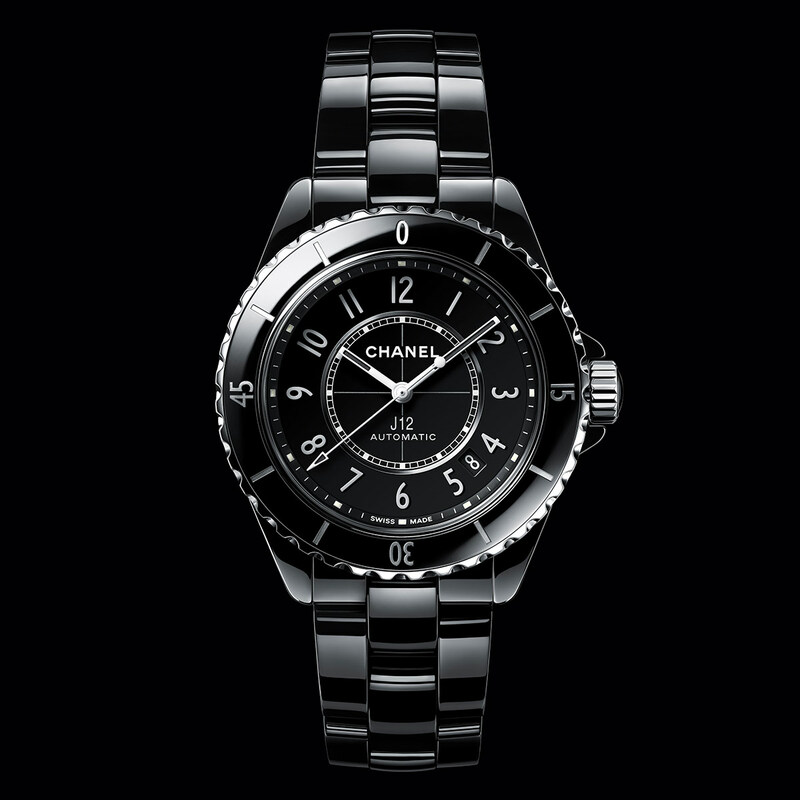 In black ceramic at first, it was then presented also in white in 2003. 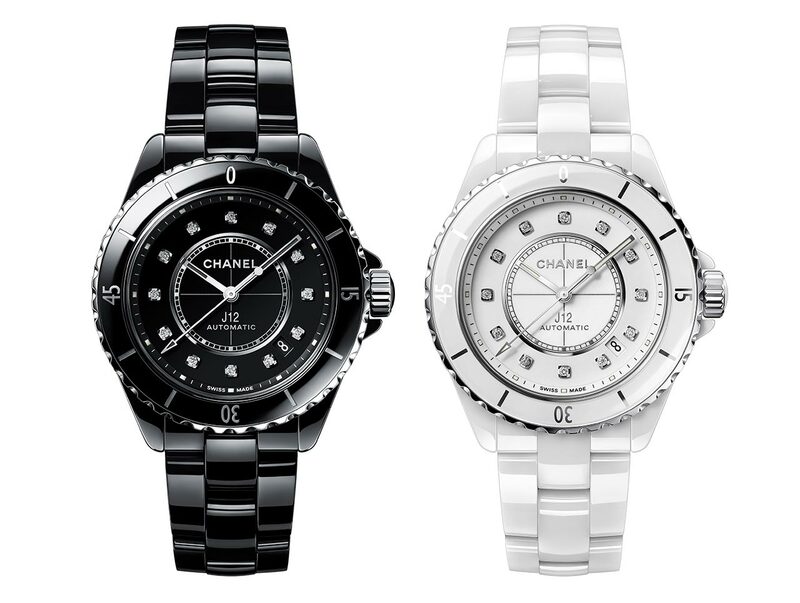 Twenty years after its creation, Chanel gave the J12 Watch a makeover while preserving the identity that built its success. 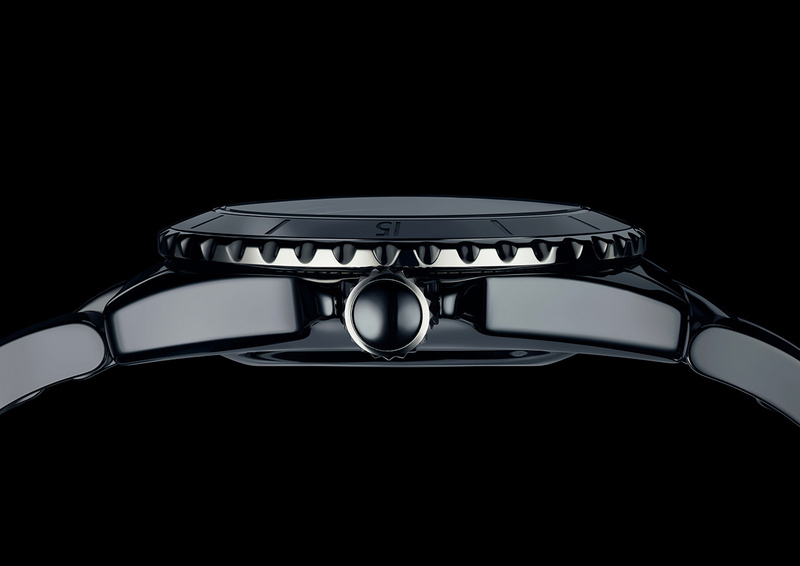 The thickness of the 38 mm case has been slightly increased but, thanks to a softened and rounded profile, it maintains fluid lines without appearing thicker. To increase the dial opening, the bezel was refined: the number of its notches increased from 30 to 40 and the typeface of its numerals and indexes were redesigned. The width of the crown was reduced by a third, like the ceramic cabochon that adorns it. Indicators have been added to the inner railway, which itself has also been re-worked. For enhanced harmony, the AUTOMATIC and SWISS MADE mentions are now in the Chanel typeface; the SWISS MADE being integrated on the flange. 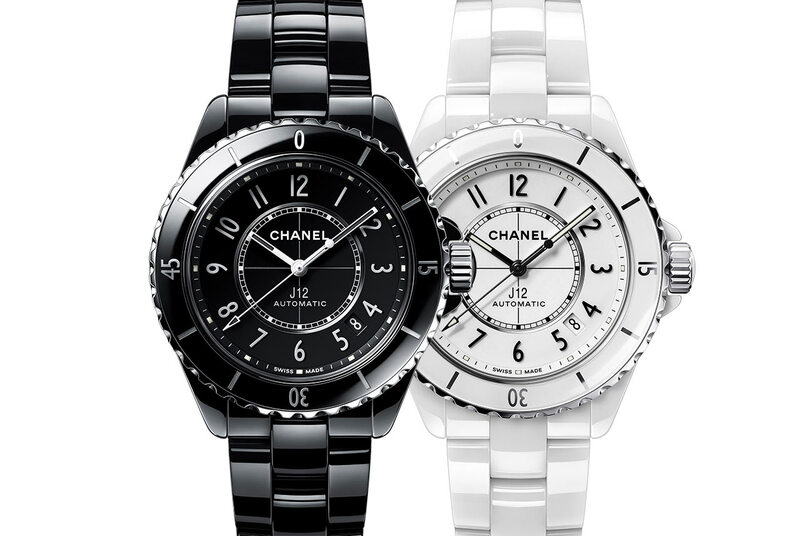 The original typeface of the numerals was also redesigned by the Chanel Creation Studio to refine it. The numerals applied to the dial are now in ceramic. The hours and minutes hands are now the same width with a dimensional adjustment of the luminescent areas in black Super-LumiNova on the black J12 and in white on the white J12, for a negative effect. 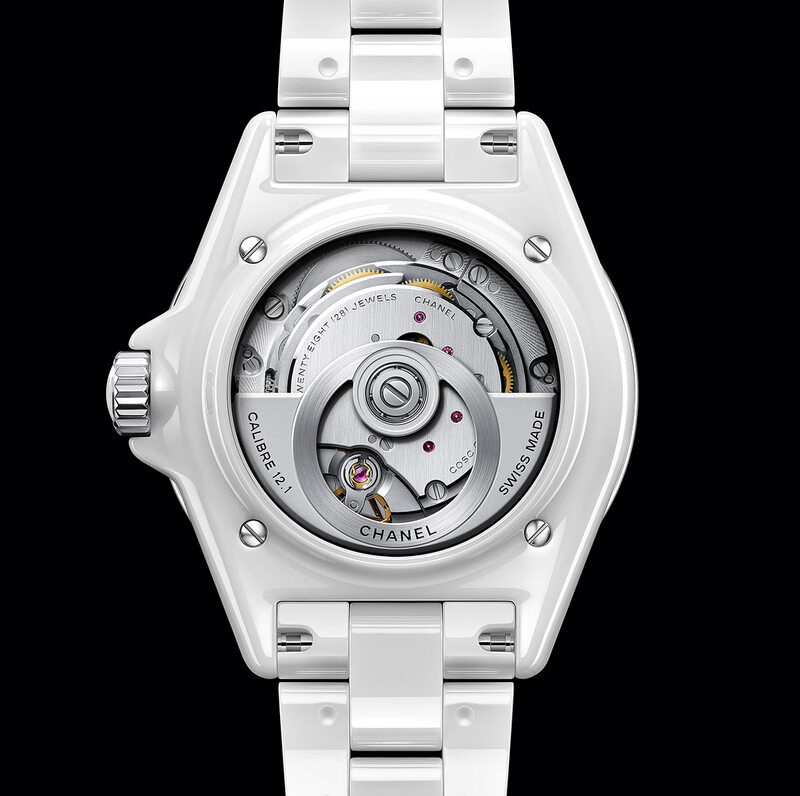 The back of the one-piece ceramic case is equipped with a sapphire crystal to display the new 12.1 calibre automatic movement, especially developed by the Swiss Kenissi Manufacture for Chanel, which owns a 20% stake of the movement maker. A perfect circle, the oscillating weight has been totally redesigned in tungsten to produce its openwork while maintaining efficient rewinding power. Beating at 28,800 vibrations per hour, the calibre 12.1 is chronometer certified by the COSC (Contrôle Officiel Suisse des Chronomètres) and offers 70 hours of power reserve. 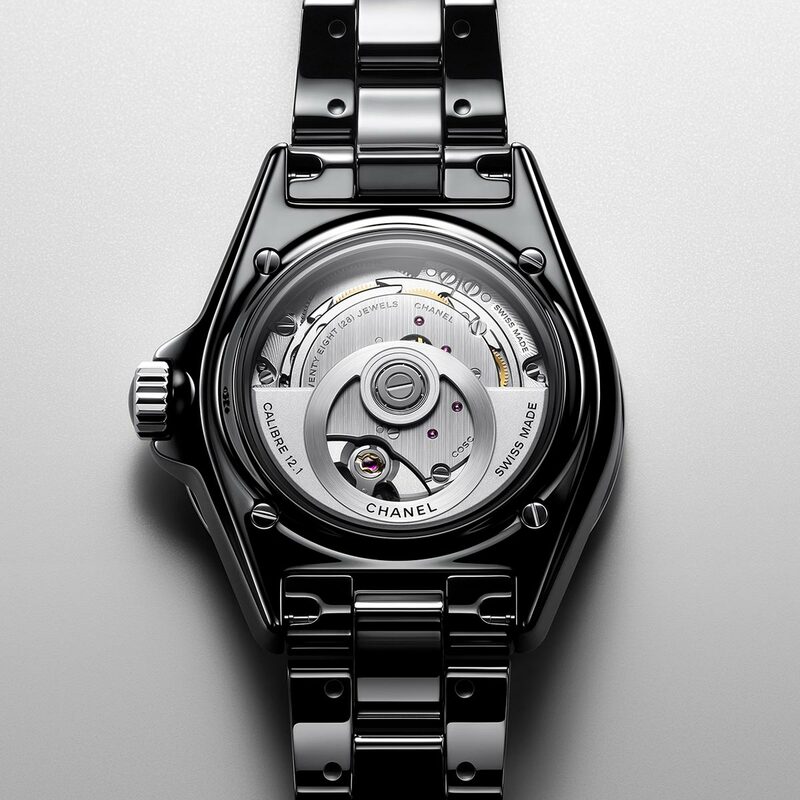 Water-resistant to 200 meters / 660 feet, the Chanel J12 - in black ceramic (ref. 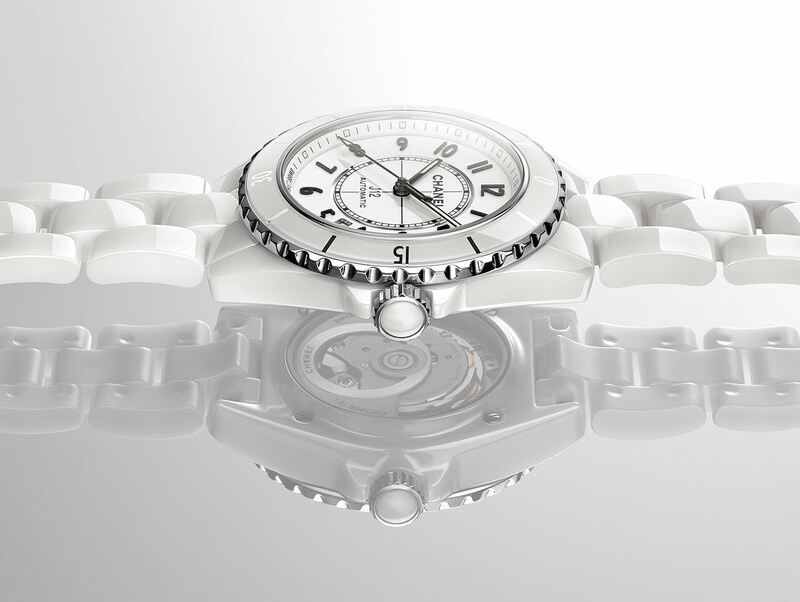 H5697) or in white ceramic (H5700) - has a retail price of Euro 5,300. Other variations of J12 are available. The J12 Phantom comes with black-on-black or white-on-white dial and bezel numerals. For this model, the price slightly increases to Euro 5,500. The version with a dial set with 12 ~0.09-carat diamond indicators has a retail price of Euro 6,500. A limited edition of 55 pieces, the J12 Édition Noire features a ceramic fixed bezel with matte black coating and baguette pattern for a striking look. The non screw-down crown, set with 1 brilliant-cut diamond, reduces water resistance to 50 metres / 165 feet. Price is Euro 12,000. 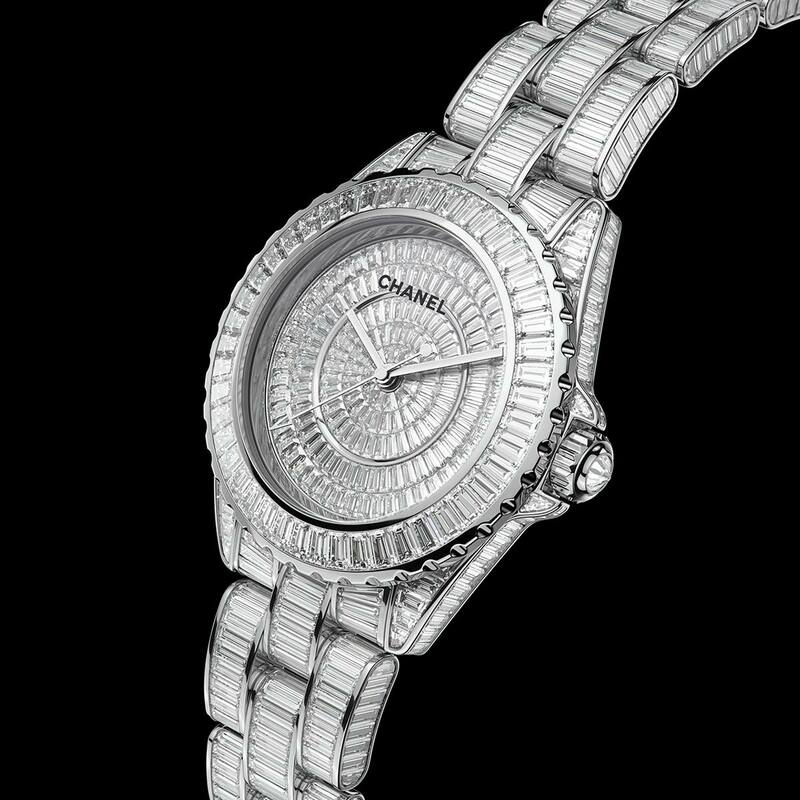 Finally, Chanel also created two high-jewellery models in white gold. 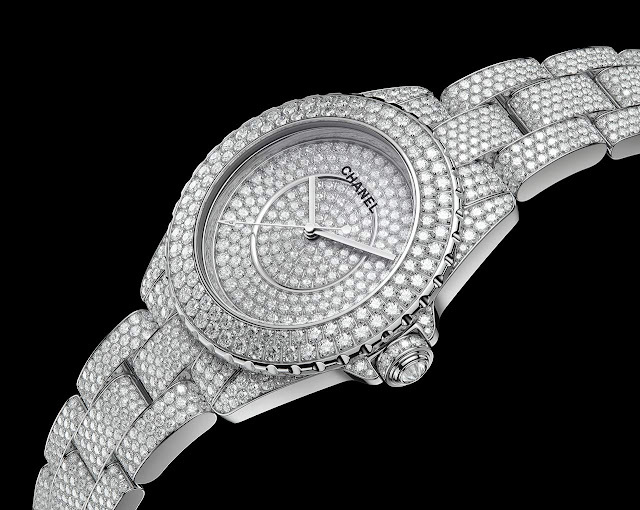 The first is a limited edition of 20 pieces with case, dial, bezel, crown and bracelet set with 1,476 brilliant-cut diamonds for a total of ~19.27 carats. Price is Euro 280,000. Designed in the year 2000 by Jacques Helleu, artistic director of Chanel, the J12 model took its name from the J-class yachts that race in sailing competitions like the America's Cup. 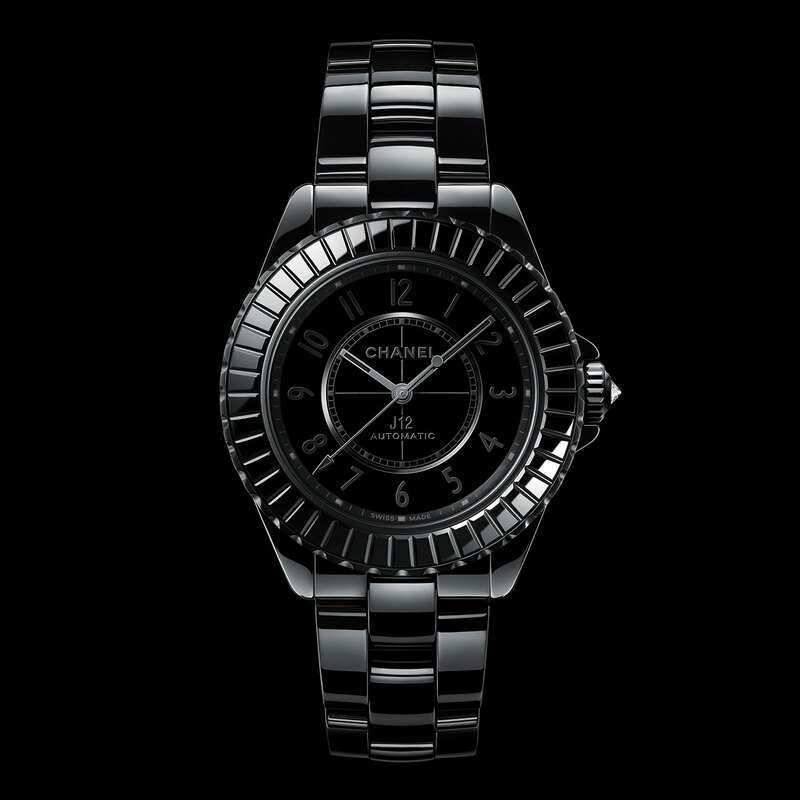 In black ceramic at first, it was then presented also in white in 2003. Twenty years after its creation, Chanel gave the J12 Watch a makeover while preserving the identity that built its success. Water-resistant to 200 meters, the Chanel J12 - in black ceramic (ref. 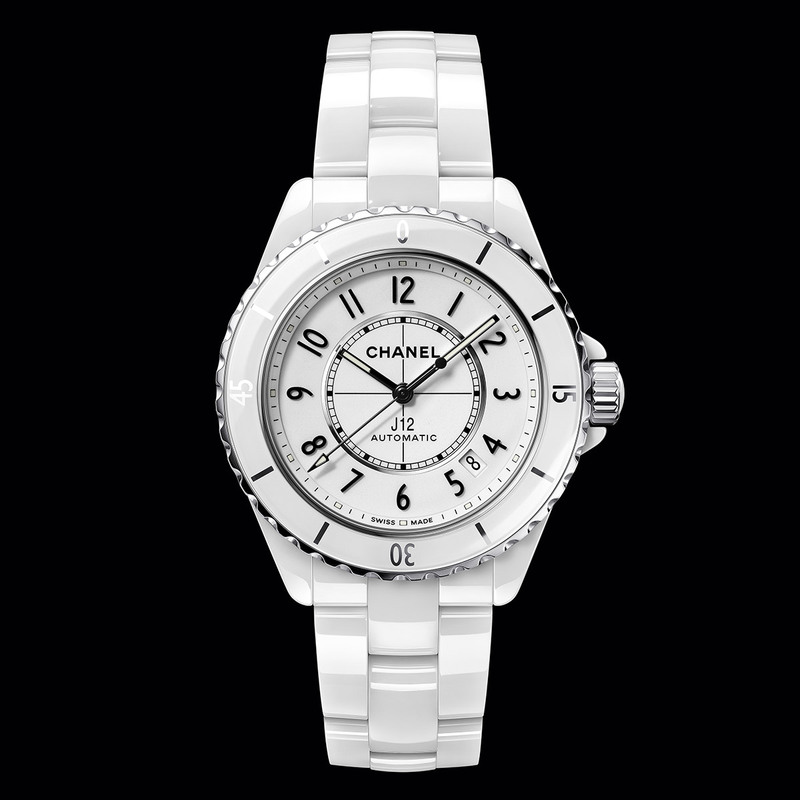 H5697) or in white ceramic (H5700) - has a retail price of Euro 5,500. The movement, was especially developed by the Swiss Kenissi Manufacture for Chanel, which owns a 20% stake of the movement maker.